The four-year-old Master of Management Program offered by the Department of Management Studies (DoMS) of the Indian Institute of Science (IISc) is in a league of its own. Started in August 2011, the course caters to only a niche segment, and allows only engineering graduates and mid-career engineers to enrol. Unlike other management institutes, the emphasis of the programme is on quant-based research, technology management and business analytics. The rigorous selection process involves shortlisting of 300 students from over 3,000 applications to finally settle for only 15. However, Bangalore-based IISc's hobnobbing with management education dates back to 1948, when it started offering a course in industrial management to train the senior management of public sector undertakings (PSUs), which were fundamental to the then Prime Minister Jawaharlal Nehru's economic policy to develop and modernise the Indian economy. The course fed into the requirements of PSUs such as Hindustan Aeronautics, Indian Telephone Industries, Hindustan Machine Tools, Bharat Electronics, Bharat Earth Movers and Indian Space Research Organisation, which were based in and around the city. Says Prof M H Bala Subramanya, Chairman, Department of Management Studies, IISc: "Initially the focus was to train and supply very highly skilled managerial talent to the public sector. In 1955, the department also started offering industrial engineering and administration courses, and started offering the country's first three-year evening diploma course in management primarily for public sector executives." Since then, IISc, or the Tata Institute, which is widely regarded as India's finest institution in scientific research, advanced computing, space and nuclear technologies, has been evolving its management curricula from time to time. Between 1965 and 1985, it offered a one-year post-graduate programme, and then followed it up with an M.Tech in Management programme, only to refurbish the course further in 1999 to offer an MBA degree to BE and B.Tech graduates. However, in 2008, the premier institution decided to scrap the MBA course following a shortage of qualified faculty to teach the specialised course. 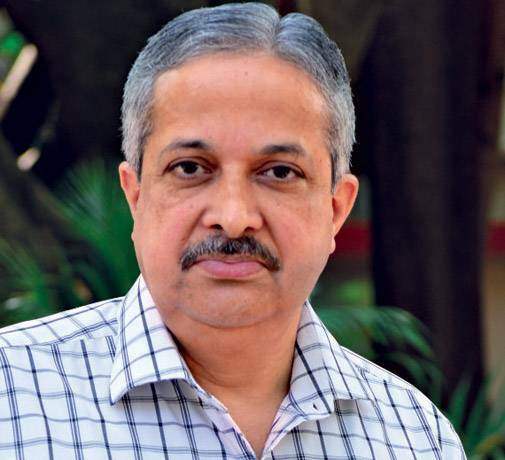 'It has been our experience that engineers can pick up the soft skills easily, whereas non-engineers cannot easily adapt to a quant-based, data-driven study package,' says Prof M H Bala Subramanya Chairman, Department of Management Studies, IISc. Cut to 2015, and the Master of Management Program has become a craze for both engineering graduates and mid-career engineering professionals. But, when the best-known universities across the world are trying to diversify their student mix and count by bringing in candidates from humanities, arts and commerce streams, isn't it a bit strange that IISc accepts only engineers? Says Subramanya: "Given the rigour required for our curriculum we find engineers to be most adept. It has been our experience that engineers can pick up the soft skills necessary, whereas non-engineers cannot easily adapt to a quant-based, data-driven study package." Subramanya points out the advantages that DoMS enjoys being a part of IISc. Being primarily a research institution has meant that DoMS also stresses on research in management. In fact the chairman claims that one of the earliest doctoral programmes in management research was started at the institute in 1960, a year before even IIM-A, for instance, was established. "This legacy has meant that today there are about 40-50 research scholars pursing PhD. Since this is a fully residential course, the rub off effect on the post-graduate students has also been tremendous." Students, who have joined DoMS, vouch for the fact it was a dream come true for them to join the institute and that they had left some of the better-known options to join IISc. Priyaratan Mishra, 26, from Dhanbad, Jharkhand, says that after completing his B.Tech from the College of Engineering in Bhubaneshwar, he worked for two years in Infosys as a business analyst, before appearing for the CAT to pursue higher studies. He scored enough in the exam to easily walk into IIM-Calcutta or IIT-Khargapur but chose DoMS over the rest. "The reason why I came here is that the depth of study here at IISc is remarkable." His views were echoed by his senior, Ashish Kumar, who hails from Cuttack, Orissa. After scoring a 98.8 per cent in GATE, Ashish had offers from IIT-Bombay and IIT-Madras but chose DoMS. "I am looking at a techno-managerial role and DoMS is the best place to train me. Could I have taken my electives as mathematics, machine learning and artificial intelligence elsewhere? No. Here I could." Mphasis is one of the companies, which had been visiting the IISc campus every year. "We are embarking on a journey to fundamentally change the way enterprises leverage the new digital paradigm, consisting of social, mobility, analytics, cloud, Internet of Things (IoT) and automation. The new digital paradigm is bringing about profound changes in the way enterprises function. We have IISc alumni leading several key initiatives ranging from data science to innovation management," says Jai Ganesh, Vice-President and Head, Mphasis NEXT Labs. In spite of the miniscule numbers of highly-trained management graduates it churns out, DoMS is not in a hurry to expand. "We are a research institution first. We will hopefully expand to accepting 30-40 students in the future. But it depends on availability of the right kind of faculty and other resources. We are not in a hurry," says Subramanya.